LOS ANGELES, Calif. -- Nov. 3, 2014 -- PRZen -- A diverse group of famed musicians including Peter Gabriel, The Police�s Stewart Copeland, Rick Allen of Def Leppard, System of a Down frontman Serj Tankian and Grammy� Award-winning opera singer Sasha Cooke, have come together for a first-of-its-kind benefit album to deliver urgent humanitarian aid to Palestinians in Gaza. 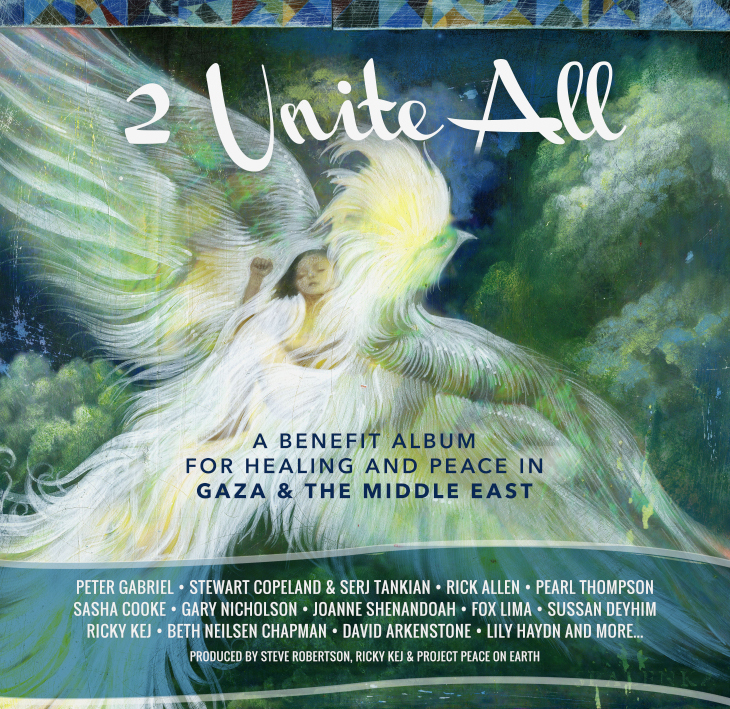 Produced by Project Peace On Earth (PPOE), the album features 26 powerful musical tracks of healing and peace. Peter Gabriel says of his decision to participate: �Although I am sure both the Palestinian and Israeli people would benefit enormously from a just and fair two-state agreement based around the �67 borders, we have watched the Palestinians subjected to more and more suffering for far too long, especially in Gaza. Meanwhile their long held land is repeatedly stolen by force for illegal settlements. I am not and have never been anti-Israeli or anti-Semitic; I am anti-Israeli government policy, anti-injustice, anti-oppression and anti-occupation. Robertson called on acclaimed Indian composer Ricky Kej to produce the album, and he immediately accepted. �I just knew how important it was for me, and all people, to help bring awareness and an end to the suffering of the people of the Holy Land,� Kej says. With over 2,100 people dead, more than 3,000 children injured, and over 370,000 Palestinian children in Gaza left traumatized after this summer�s assault, 2 Unite All proceeds will go directly to support the surgical and medical teams of Palestine Children�s Relief Fund (PCRF) and the vital psychological counseling supported by UNRWA USA. PPOE will also lead a PTSD therapy effort with renowned psychotherapist Dr. Edward Tick and continue its peace initiatives in the Holy Land.